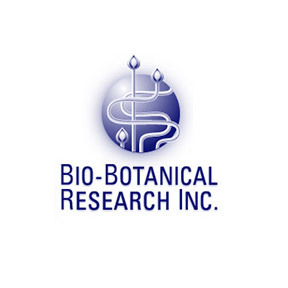 Since 1987, Bio-Botanical Research has formulated clinically effective professional solutions to address health challenges associated with intestinal ecology, immune system dysregulation, and detoxification. Founding director Dr. Rachel Fresco L. Ac., Ph.D. utilizes her extensive background in medical herbology, functional medicine, and clinical nutrition to develop innovative specialty formulas. Recognized as a leader in the field of natural medicine, Bio-Botanical’s formulations are specifically designed to assist health professionals in addressing opportunistic infections and systemic microbial challenges. Bio-Botanical’s hypoallergenic solutions are formulated with high grade USP botanicals independently analyzed for purity and efficacy. Their certified manufacturing facilities are state and federally licensed to produce nutritional supplements following current Good Manufacturing Practices (cGMPs). Standard operating procedure includes product testing utilizing methods designated by the American Association of Analytical Chemists (AOAC). Bio-Botanical’s clinically tested products contain no fillers or additives, and are free of artificial flavorings and colorings. Biocidin®: This carefully crafted formula provides broad-spectrum antimicrobial botanicals and essential oils that target systemic and gastrointestinal conditions, as well as support immune function and detoxification. For over 20 years this independently and clinically tested well tolerated formulation has been a useful support when addressing symptoms relating to bacterial, viral, parasitic, and fungal infections. Gluten, wheat, dairy soy, yeast, synthetic and excipient free, Non-GMO vegan formulation. Also available as Biocidin® Broad-Spectrum Liquid Formula. G.I Detox™: This gentle effective formula assists removal of debris, toxins, metals, and accumulated microbial by-products that promote inflammation and contribute to an increased toxic burden. G.I. Detox™ contains pyrophyllite healing clay and activated charcoal for a simple, well tolerated cleansing regime. Gluten, wheat, soy, dairy, preservative and artificial ingredient free, Non-GMO vegan formulation. Biocidin® TS Advanced Formula Throat Spray: As part of an immune support strategy, this laboratory tested throat spray relieves sore throat pain, soothes allergy irritations, and supports healthy respiration. This product is indispensable for winter wellness during cold and flu season, as well as for those who speak or sing professionally. Certified organic or wildcrafted sources used whenever possible. Gluten, artificial ingredients, and common allergen free, Non-GMO vegetarian formulation. Olivirex®: This innovative formulation combines standardized, high potency USP grade olive leaf extract with a synergistic blend of botanicals that enhance the broad-spectrum qualities of olive leaf in support of detoxification. Gluten, artificial ingredients, and common allergen free, Non-GMO vegetarian formulation. This entry was posted in Home and tagged Bio-Botanical Research, Bio-Botanical Research – Featured Brand, Biocidin, G.I Detox, Olivirex, Professional Supplement Center, Vitamins and supplements, www.professionalsupplementcenter.com. Bookmark the permalink.